Located in Mamaia, 1.3 km from The Holiday Village Mamaia, Smarald Sunset Apartment offers a living room with a flat-screen TV, and free WiFi. The Aqua Magic is within 2 km of the apartment. 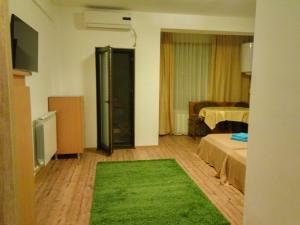 This apartment is fitted with 2 bedrooms, a living room and a fully equipped kitchen. Exhibition Hall is 2.4 km from the apartment, while Albatros Open Picture Theatre is 3.3 km away. 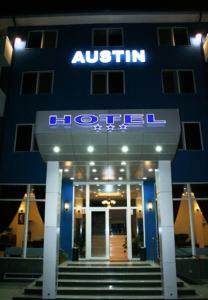 The nearest airport is Mihail Kogălniceanu International Airport, 22 km from the property. When would you like to stay at Smarald Sunset Apartment ? This apartment has a washing machine, air conditioning and seating area. Please inform Smarald Sunset Apartment in advance of your expected arrival time. You can use the Special Requests box when booking, or contact the property directly with the contact details provided in your confirmation. Each day we'll check prices and send you an email for your selected dates at Smarald Sunset Apartment. If you don't have specific dates but would like to check prices for say next weekend or say next month we can check the price too. Click to write a review and share your experience of Smarald Sunset Apartment with other travellers.